Ovaries are very individual things – the way they will respond to the IVF drugs which stimulate follicles to grow varies from person to person and from cycle to cycle. So the day on which the eggs will be collected can not be determined accurately in advance. Once the eggs are collected, the day an embryo will be transferred can be narrowed down a bit, but not precisely. If there are few embryos, or they do not develop as rapidly as the embryologist might expect, then a transfer might occur on the third day after egg collection. Or if there are plenty of embryos and if they develop well then transfer will likely happen on the 5th day after egg collection. And sometimes schedules at the IVF clinic don’t always go to plan, and your transfer time might be delayed. Most acupuncturists with busy practices will be booked up in advance and will find it difficult to have the flexibility of appointment times that an IVF patient needs. Why should I come to the acupuncture IVF support clinic instead of seeing my own acupuncturist whom I’ve been seeing for years? You shouldn’t – you should see your own acupuncturist if he or she is available at the right times to see you during your IVF cycle and is close to the IVF clinic, and is qualified to provide these treatments. Alternatively if he/she is unable to see you at the right time, you can have treatment at the acupuncture IVF support clinic, then continue to see your own acupuncturist after the embryo transfer. 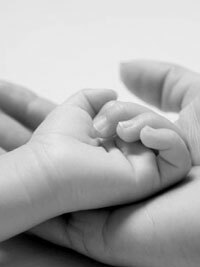 The acupuncture IVF support clinic is dedicated to offering treatment to couples who are embarking on or planning an IVF cycle. If you are interested in having acupuncture for other health related issues please contact the national association for a recommendation to an acupuncturist close to you. If you are interested in doing a thorough preparation for any future IVF cycles using Chinese medicine and lifestyle factors, or you are thinking about an alternative to IVF, then you should consider making enquiries at one of the clinics listed. Why would my IVF specialist recommend this clinic? By recommending the acupuncture IVF support clinic your specialist knows you will receive exactly the treatment which was used in clinical trials. And your specialist will know that the practitioners staffing the clinic are accredited, insured and trained in these protocols.